Terry has always enjoyed painting and drawing and early retirement from the lighting industry allowed him to concentrate more fully on this. He also spent several years teaching adults with the Leicestershire Education Authority. Terry is interested in painting in all media and drawing with a fondness for pastels and mixed media interpretations. Subject matter can vary but Terry is particularly attracted to the older and quieter corners of landscape and buildings, gardens etc and recording some of their features before many disappear. 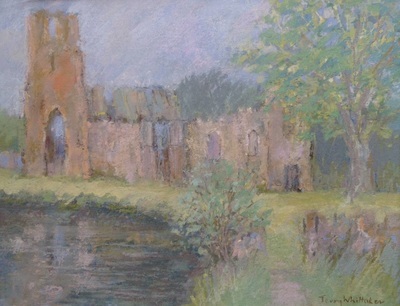 He has exhibited throughout the Midlands and been a longstanding member of the Leicester Society of Artists and the Leicester Sketch Club.